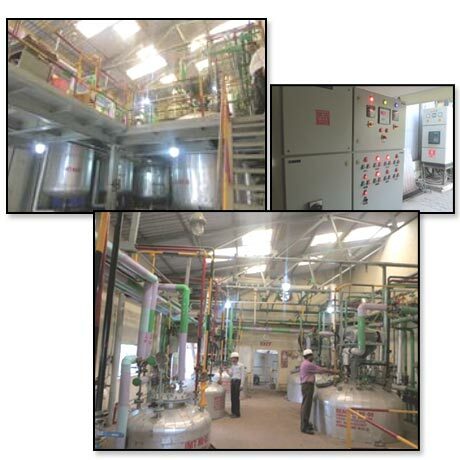 Three manufacturing sites at Mumbai- Badlapur and Vasai. We, at Core Chemicals (Mumbai) Pvt. Ltd will strive to continually improve the quality of our products and services, to satisfy the needs of our customers and will adhere to the delivery schedule on time and will continually improve the effectiveness of the Quality Management System. CCMPL is an ISO 9001:2000 company & group turnover is 100 Crores (USD 18.5 Million). Our company has successfully executed several projects of contract manufacture for a range of speciality chemicals, which have been undertaken both for major multinational chemical companies and for smaller/medium companies seeking independent, third party confidential contract manufacture. These businesses are conducted under terms of strict confidentiality.